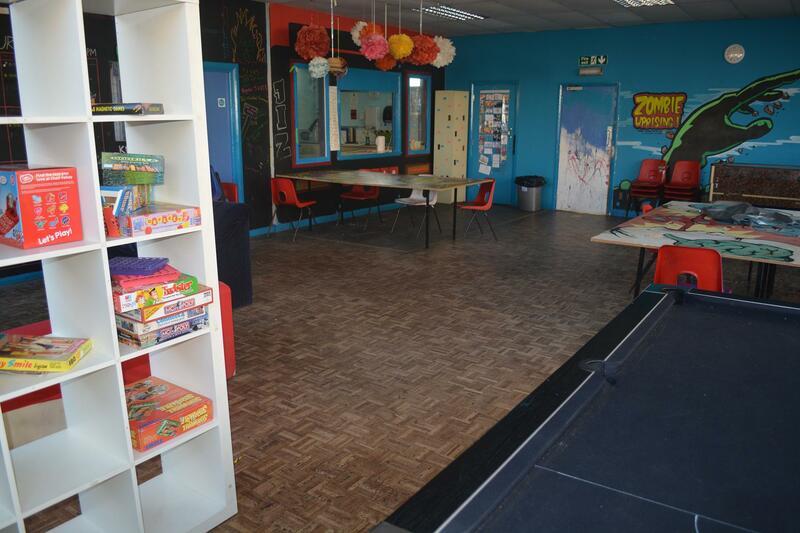 Brighton Youth Centre is a very large purpose built youth centre which offers extensive facilities which are open to hire. 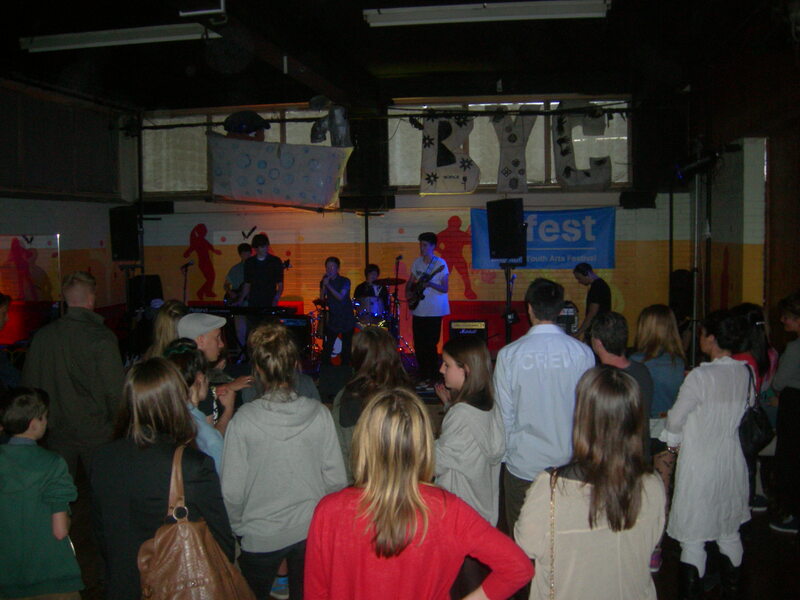 If you need a space to hire in Kemptown, Brighton, whether you need a meeting room, rehearsal space, sports hall, dance studio, or somewhere to have a party or a gig, Brighton Youth Centre has all the space you need! We also offer complete party and conference packages including boarding parties or private tuition, sports & equipment hire, with printing and photocopying facilities, and free wi-fi. We are currently open Monday – Friday from 10am – 9pm. Requests for any bookings on weekends please contact the office, as may require additional staff cover. Coloured blocks indicate times that have already been booked. Hover over ‘Schedule’ in the left corner to change the view mode. Please note that this is only a reference to available slots at the time of viewing, and cannot be used for reservation. Prices shown are our standard hourly rates. We do have a discount rate for each room that may apply as an introductory rate; for long term and regular bookings; for those working with young people and more. Ask when booking as we are always open to discussion. Facilities for 5-a-side football, basketball, archery, volleyball, badminton, table tennis and more. Also a large venue for gigs or parties. Suitable for dance and drama, and a great performance space with a stage and lighting rig available. It also has stage doors opening onto the gym to make a large performance or concert area. Contains full length mirrors. A large light room with full length mirrors. Ideal for dance or drama rehearsals. Please note wooden dance floor covers an area of 12.3m x 6.5m. 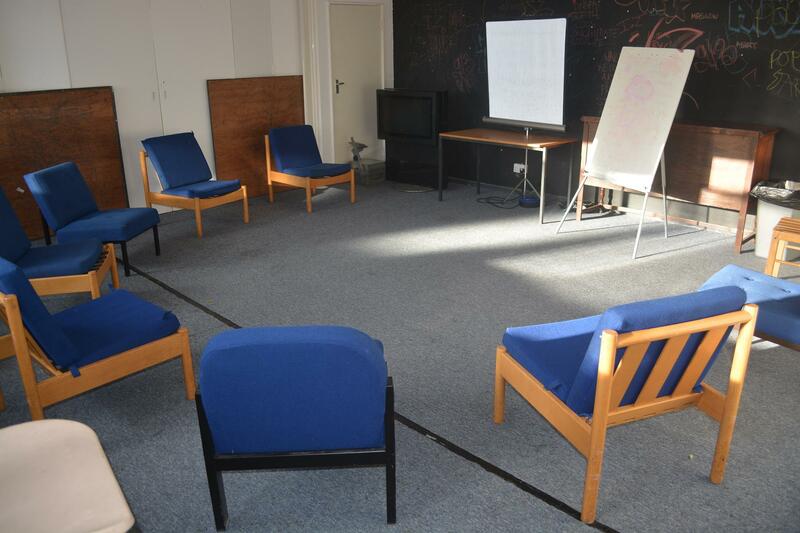 A simple, decent sized room with whiteboard. Can be set up as required with chairs and tables. Perfect for any meetings or courses. A wonderfully creative space for all your artistic needs. With desktops and a large table, sofas and a sink, and decorated with great artwork from young people. Perfect for workshops, exhibitions, or as a studio space. A large, vibrant open space kitted out with tables, sofas, stereo equipment and even a pool and football table thrown in. Also with another small side room with TV and seating. Comes with use of the kitchen. Ideal for parties, courses or just about anything you can think of. 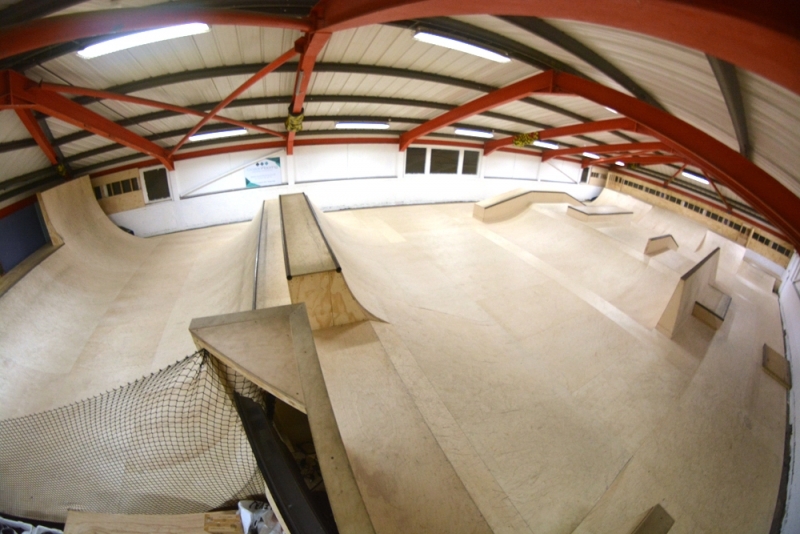 Skatepark (90′ x 42’/27m x 13m) – Skate parties are £75 per hour and can include skateboard tuition. Can’t beat your own private skatepark as a party venue! Includes a wealth of stuff thrown in. Check out our skate party page for full info. Voted 5* by netmums.com!